Spring’s arrived and it’s time to start thinking about the exterior of your home again! Just like the interior floors in your home exterior concrete can have as many different looks and finishes. Coloured and stamped concrete can add beauty and design. There are now so many different coloured finishes that you would need to use a colour chart to decide which would be appropriate for your project. Whatever your concrete project for this spring and summer season, now’s the time to put your plan into action. Get in touch at 403-547-5597. 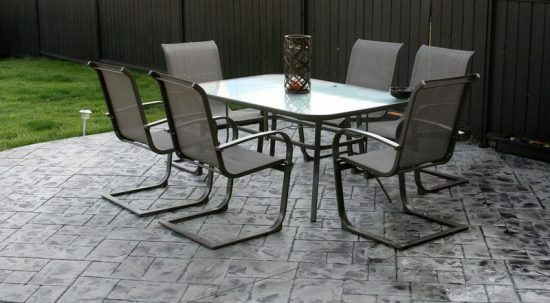 We will provide all the information you need for your new outdoor concrete project, and will not only ensure it looks great, but that it will last a lifetime.